Iberis sempervirens, commonly known as Candytuft, is a low growing, flowering perennial plant that is hardy to Zones 3 – 9. Originally native to Southern Europe, this little plant make an excellent addition as an early spring bloomer. Iberis have alternate, linear to obovate entire leaves and a corymb-like raceme (flat-topped or convex shaped flowers with short floral stalks). Beautiful flowers of Iberis sempervirens, commonly known as Candytuft. Iberis have a moderate growth rate and prefer full sun (greater than 6 hours of direct sunlight) but will tolerate partial shade. Iberis prefer moist to slightly dry conditions but do not tolerate excessive moisture. Poor soils should be enriched with organic matter to enhance drainage. Iberis have a spreading, low growing habit with an average height of 6 – 8 inches and a typical spread 12 – 35 inches. Proper spacing (12 – 18 inches) between plants increases air circulation; keeping leaves dry and helping to prevent the spread of diseases. Test the soil in the landscape bed through Clemson Extension for the amount of lime required and the best fertilizer to apply. Iberis are moderate feeders. 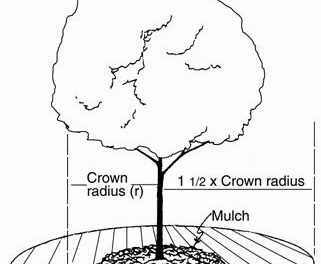 In than absence of a soil test, they can be maintained with an application of a 12-6-6 slow release fertilizer at a rate of 1 pound per 100 square feet in early to mid-March, when new leaves begin to emerge, and again in September at a ½ pound per 100 square feet. Early fall is the best time to plant Iberis; however, they can also be planted in mid-April. Fall plantings will have adequate time to acclimate to their new environment. For more information on planting, see fact sheet HGIC 1153, Growing Perennials. A light trim (shearing 2 – 3 leaves below the flowers) when flowers have begun to fade will encourage the plant to re-bloom. Candytuft typically blooms early spring through early to mid-summer; however, some cultivars will re-bloom in early fall. Iberis is suited for several uses in the landscape due to its spreading nature and preference for dry conditions. The species is a good choice for rock gardens, and xeriscaping, it is an excellent partner for mixed borders, and it can stand alone in mass plantings as a groundcover. The showy white flowers provide early to mid-spring color that will contrasts well with spring bulb flowers. Their spreading nature can also be used as a “spiller” or “filler” in container gardens, or in retaining wall plantings. Though uncommon, Iberis can also be used in cut flower arrangements. Diseases: Iberis are infrequently subject to a few disease problems, such as bacterial leaf spots, fungal leaf spots, crown and root rots, powdery mildew, botrytis, and downy mildew. All of these pathogens are typically encouraged by excess moisture on the leaves (usually after frequent rain or overhead irrigation), so cultural practices, such as proper spacing to encourage air movement, removal of dead plant material, and utilizing drip irrigation instead of sprinkler irrigation, will reduce the risk for infection. If problems with diseases do arise, contact your local Clemson Extension Office or the Clemson Home & Garden Information Center for assistance in management of the disease. Insects: Iberis are typically not subject to high levels of insect pests; however, aphids can occasionally be a problem. There are several naturally occurring predators for aphid control, such as green lacewing larvae, ladybird beetles (adults and larvae), and parasitic wasps. If an insecticide is necessary for control, use a spray of horticultural summer oil or insecticidal soap. Being sure to read and follow all label directions before use. 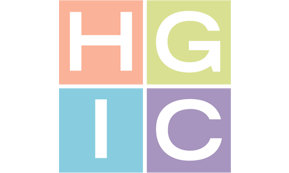 For more information on insecticidal soap treatments see fact sheet HGIC 2771, Insecticidal Soaps for Garden Pest Control. ‘Alexander White’ grows to 8 – 10 inches in height and spreads 12 – 23 inches. The flowers bloom in mid-spring through early summer and have a brilliant white color with a green tint to the center. ‘Little Gem’ grows only to 6 – 8 inches in height and spreads 12 – 23 inches, making it ideal for small garden spaces and containers. The small bright white flowers bloom mid-spring through early summer with dark emerald foliage. ‘Masterpiece’ grows 10 – 12 inches in height and spreads 12 – 35 inches. It has larger flowers than other cultivars and blooms mid-spring through early fall. ‘Purity’ grows to 6 – 8 inches in height and spreads 12 – 35 inches. The nearly pure white flowers bloom mid-spring through early summer, and with shearing, will re-bloom 2 – 3 times throughout the growing season. ‘Snowcushion’ is small in height only growing 5 – 6 inches, and spreading 12 – 23 inches. This cultivar makes a great addition to small gardens, children’s gardens and fantasy gardens (pixie / fairy gardens). The brilliant white flowers bloom mid-spring through early summer. ‘Snowflake’ grows to 8 – 10 inches in height and spreads 12 – 35 inches and blooms mid-spring through early summer, Snowflake’s flowers can put on a show for several weeks during the bloom period. 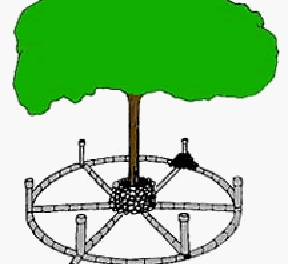 ‘Tahoe’ grows 8 – 10 inches in height and spreads 12 – 23 inches. The bloom period is shorter than other varieties, only lasting mid- to late spring. ‘Whiteout’ is the smallest cultivar, only growing 2 – 3 inches in height and spreading 3 – 5 inches. The delicate white flowers bloom mid-spring through early summer. This petite variety is excellent for small garden spaces and containers.